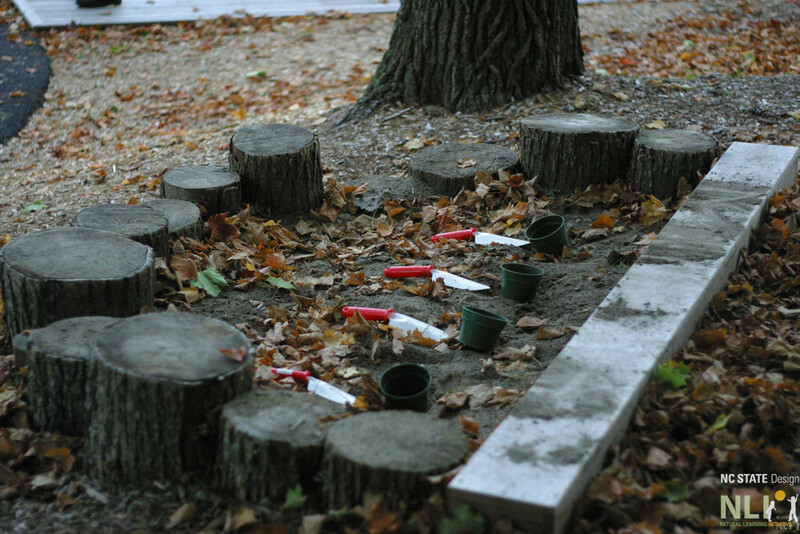 Log seats are an easy and cost effective way to improve an outdoor learning environment. Talk to tree removal companies to reserve tree segments before they grind their trees. Logs and stumps don’t have the same life span as a stone circle, and will need replacing every five years or so. Red cedar, oak, maple trees and other hardwoods provide the longest lasting stumps. Pine and the soft woods are not suitable as they decompose too fast. Make sure borders are smooth. Logs can also serve as a temporary boundary containment for earth and sand play settings. 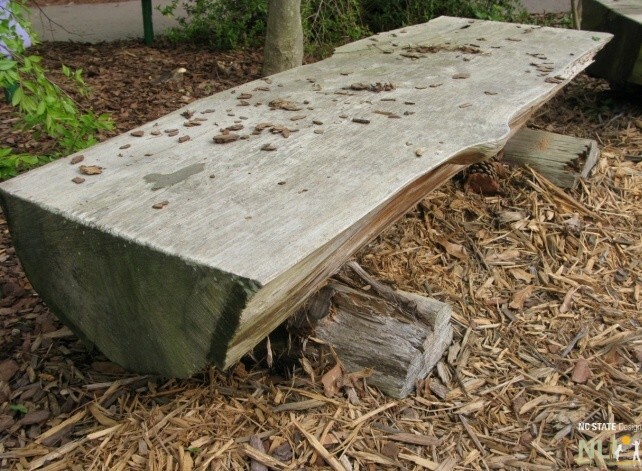 Log benches require a moderate amount of skill and tools to build and keep stable. 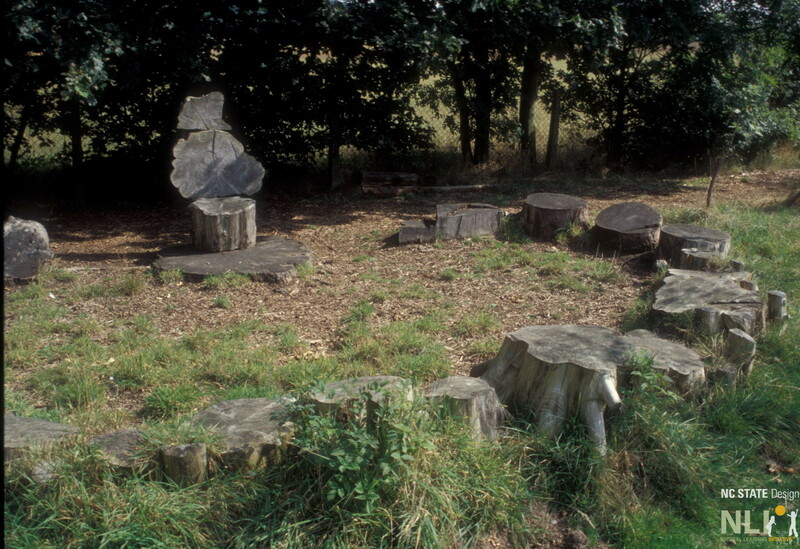 A log seat circle with a special “storyteller’s chair” at one side at Coombes Primary School, UK. 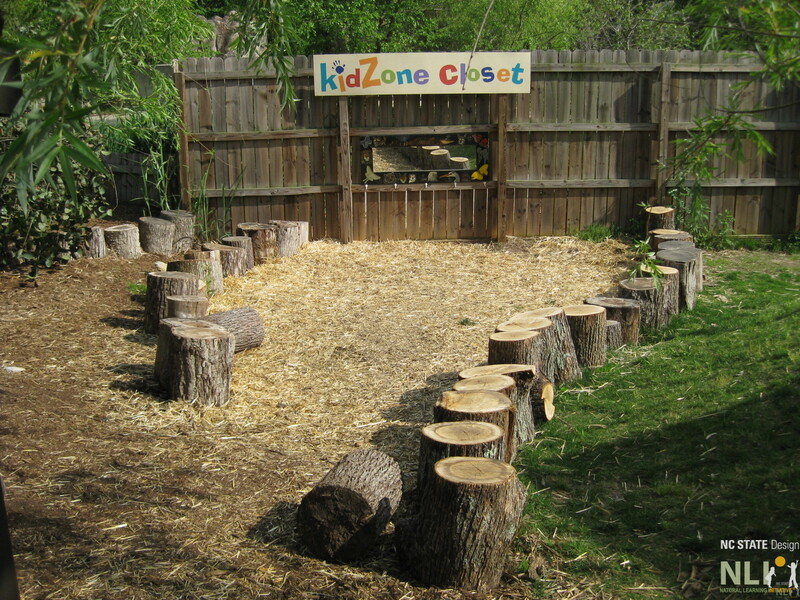 Here, logs are used both as seats and to define the space for the dress-up clothes at the NC Zoo kidZone. 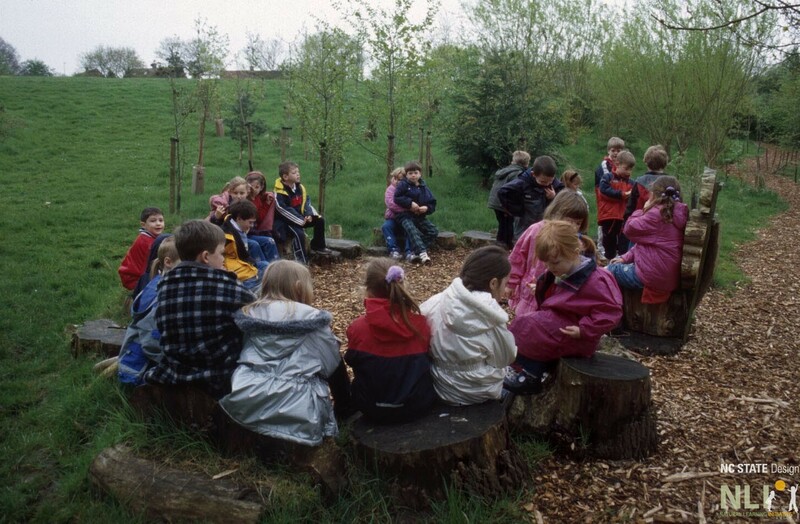 A group of children gather and listen to stories in a log seat circle at Coombes Primary School, UK. Here logs are used as a boundary for earth play. 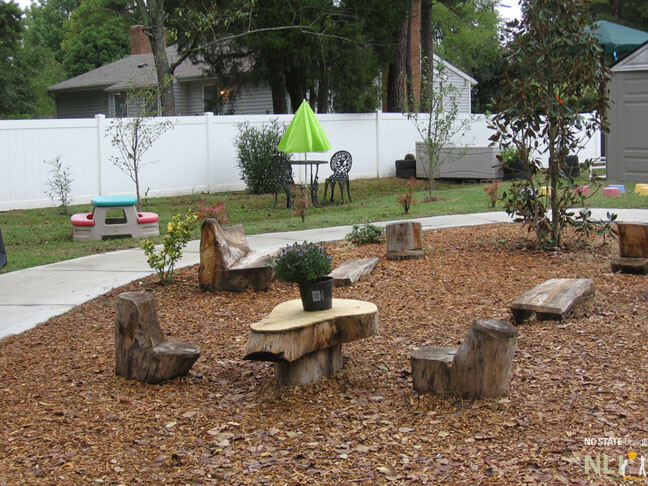 Logs have been sculpted into seats and tables at Building Blocks Learning Center, Charlotte, NC.